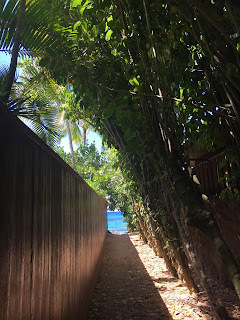 I've had a few people ask me why we rented a car in Waikiki when there's plenty of public transport and most places are walkable - and it's a good question to ask. Waikiki is a really great city to visit. 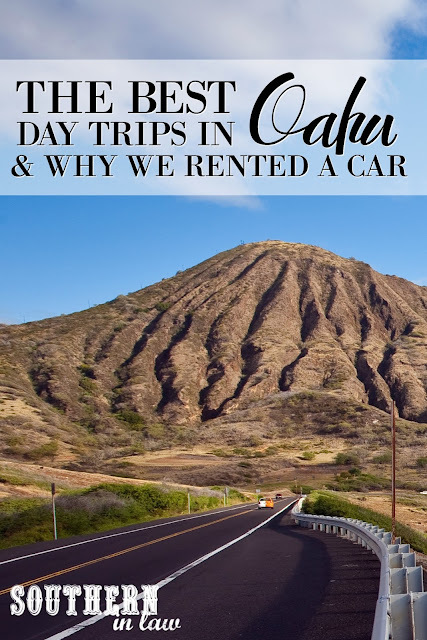 You can walk almost anywhere easily, they have a great bus and trolley system - but there's more to Oahu than just Waikiki - and that's why I think you should consider renting a car when visiting the island. Reason #1: You can go anywhere, anytime. With buses, you've got to know what schedule they're running on, get to the bus stop at the right time, hope that the bus isn't running late, wait around for the designated time to leave even if you want to leave early yadayadayada. With a rental car? You can just put the keys in the ignition and head off any time you like. I don't know about you, but I like to run my own schedule. If I go to a museum that I thought was going to take me 2 hours to get around and it only took me 1 - I don't want to have to waste time for an hour before my bus/tour/whatever leaves when I could be doing something else instead. Reason #2: You can shop up a storm. If you're travelling via bus/trolley/foot, you're limited on how much you can buy. While we were in Waikiki, we bought groceries because we cooked our own meals. Lugging that back to our accommodation on a bus/trolley/by walking would mean we could only by a small amount and then we'd have to go back more frequently and my grocery store hating husband wouldn't have been too pleased. With a rental car, you can shop up a storm and pop everything in the boot... or the rest of the car if you go a little overboard. Reason #3: You're not limited on where you can go. Waikiki's public transport system is great - but the North Shore? Not so much. It will take you hours to get there via bus etc and you'll waste half of your day. 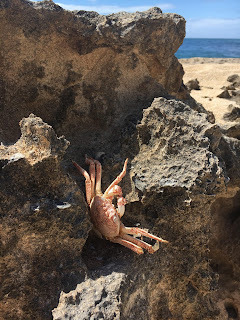 With a rental car, it took us 30-40 minutes to get from Waikiki to the North Shore and we could go and do whatever we fancied. Having a rental car meant we could explore places off the tourist track and do our own thing. Speaking of which, let me share our favourite day trips with you! I love zoos and aquariums - but there is something really special about seeing wildlife in the wild. 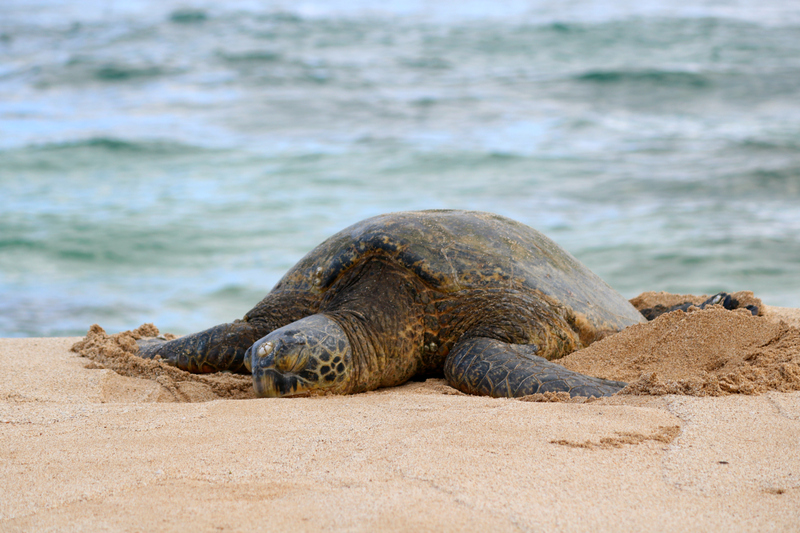 I was over the moon when we stumbled across some turtles at a random little tucked away beach. 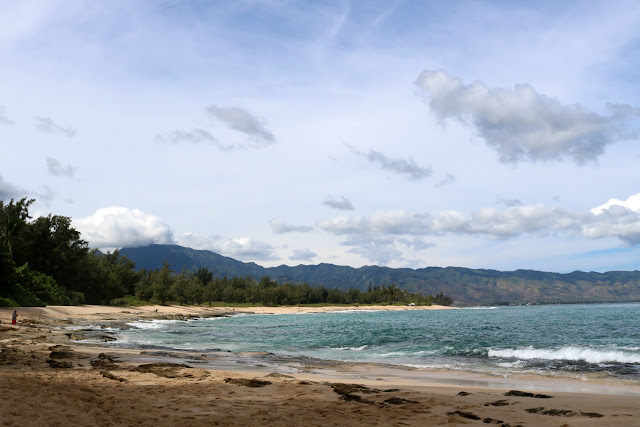 It's a little tricky to find - but set your car's GPS for Papailoa Road Haleiwa. Once you're there, continue driving down to the end of the culdesac where you'll see a little dirt parking area. Park your car and take the Public Beach Access path to the beach. There, you'll find turtles either feeding in the water in the shallows - or sunbathing out on the beach. DO BE RESPECTFUL of the turtles. I saw people trying to feed them by hand and being dumbies but you need to give them their distance. They are WILD animals who are not supposed to be fed by hand. Keep your distance, use your zoom on your camera or phone instead of getting right in their face and be respectful. Also on the North Shore are a bunch of different filming sights for LOST. My all time favourite? 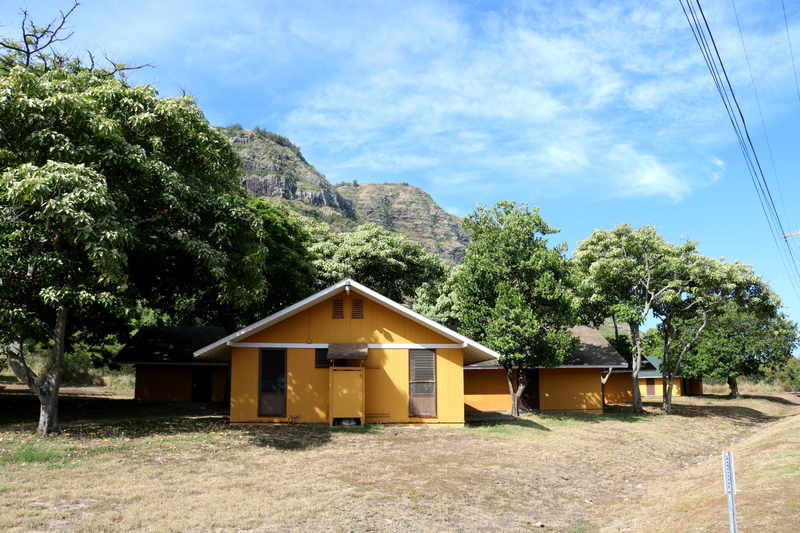 YMCA Camp Erdman at 69-385 Farrington Highway (chances are your GPS won't find the exact address, but head for Dillingham Air Field and continue driving until you see the buildings. You can't miss them! This is where the Other's Camp was filmed on the show - and if you're a LOST fan, just seeing the buildings will have you running through different scenes in your head. It IS private property - so take photos from a distance and don't trespass. I have scene people on Instagram going into the property and taking photos - but I don't think that's right. You wouldn't want someone coming and taking photos on your property or having people walking right up to the buildings where your children are on their school camp (YMCA Camp Erdman is an active campsite used by many local schools) - so don't go on someone else's. Other filming sights include Mokuleia Beach on the opposite side of the road (I'm unsure of the exact location but that is where they filmed different beach scenes as well as the plane crash scene) and the address of the "turtle beach" above is where they filmed the survivors camp scenes - as well as at Dillingham Ranch (which you can't access, as far as I know). Above is the "turtle beach" address from above - where they filmed scenes from the Survivors Camp. 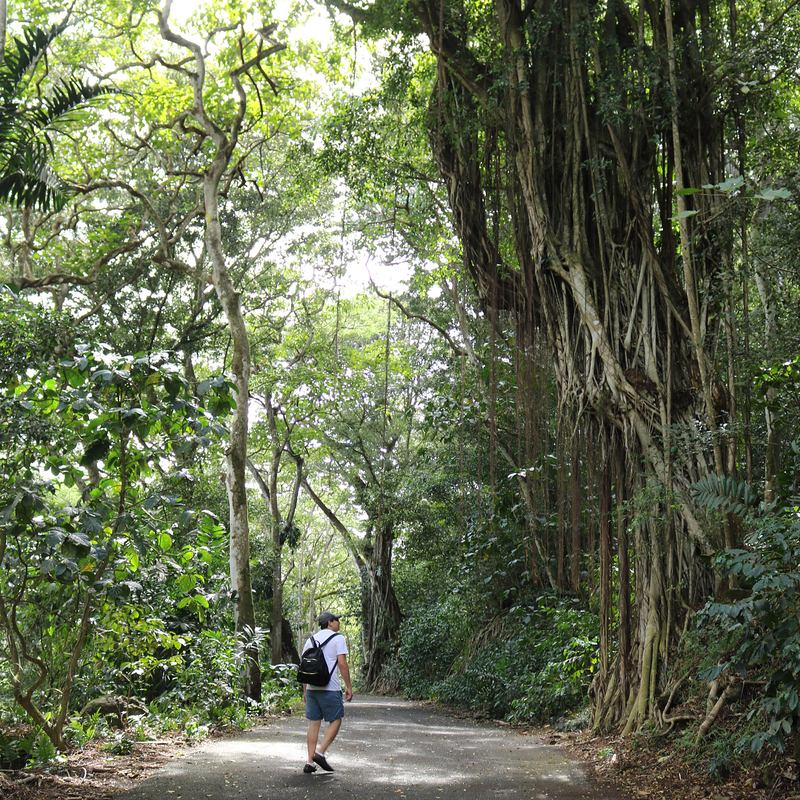 Waimea Valley is a beautiful park that you can visit for $15 per person. It's a little bit touristy but really informative and incredibly beautiful. The $15 fee is mainly because there is a waterfall which you can swim at at the end - but the day we visited, the water was pretty still and we hadn't planned on swimming anyway. Why? Because of Angiostrongyliasis or Rat Lungworm Disease... call us scaredy cats, but we don't really want to risk a parasite invading our brain and spinal chord just so we can take a few insta photos. Basically, if you're unaware of what Rat Lungworm Disease is; it's a parasite that makes itself at home inside the body of a rat - which then spreads the larvae through it's faeces which then infects slug/snails/still water and can then infect humans who have either eat infected produce or take in the infected water by mouth or through an open wound etc. There is no cure so if you're infected, it's a matter of waiting until the parasites die and hoping the damage isn't too life threatening. Sounds lovely, huh? But on the positive side, there was plenty to enjoy besides the waterfall - and we got some beautiful photos and learnt a lot about traditional Hawaiian culture and traditions. One tip to be aware of, consider wearing or bringing some insect repellant. Due to the waterfall and stagnant water, there are quite a few mosquitos. I'm lucky in that they don't seem to think I'm tasty - but Jesse ended up with bites so it might be a good idea to bring some insect repellant - particularly if you're allergic to mosquito bites like my sister! Matsumoto is famous for it's shave ice - and all for good reason. The line wraps the whole shopping complex in the middle of the day so risk the sugar high and get there early. 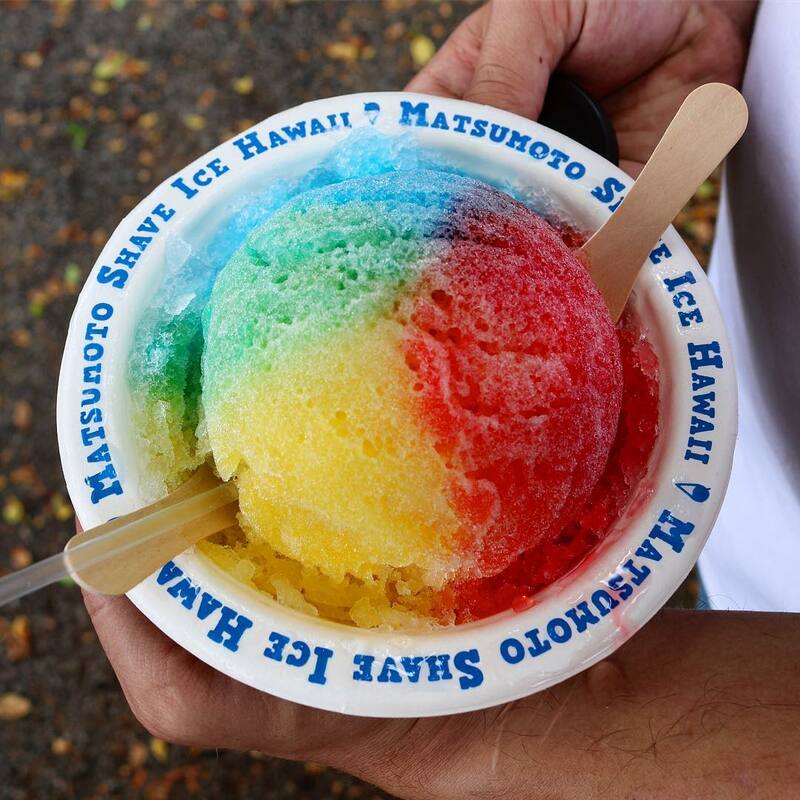 We headed straight there from Waimea Valley as it was a really warm day and grabbed a large shave ice to share. The shave ice is super cheap (I think it was $3.50 for the large) and all of the syrups are gluten free (or so I was told via email when I emailed them before we went). We got Pineapple, Mango and Strawberry and it was the perfect combination. Oddly enough, the pineapple is the blue syrup which made for a rainbow effect... but despite the serious sugar high it was totally worth it and so refreshing. We went back on another day at around lunchtime only to find the line super long so we opted for popsicles from the general store instead - so bring your patient pants or get there early like I said! Our number one tip for The Dole Plantation? 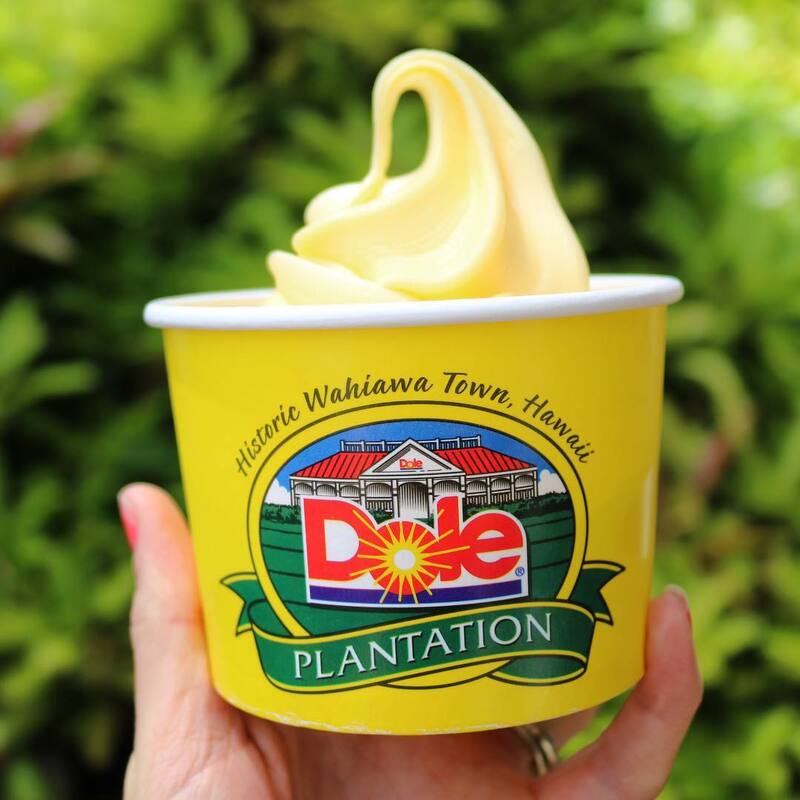 Skip the train ride and attractions and just go for the Dole Whip. It's creamy, delicious and gluten free, vegan (I think! ), lactose free and worth every penny. The attractions are totally overrated and a little bit lame - but anyone can visit the shop or restaurant without paying for the attractions. Truth be told... we ended up going back for three Dole Whips in total... one on our first first when we did the train ride/garden tour, one on the way back from Pearl Harbour and one before we left. SO good. Note: We received a discounted rate from Envy but this is NOT a sponsored post and has not been influenced by the company in any way. Okay, so now you know why we recommend renting a car and where to take said rental car - but where do you rent them from? 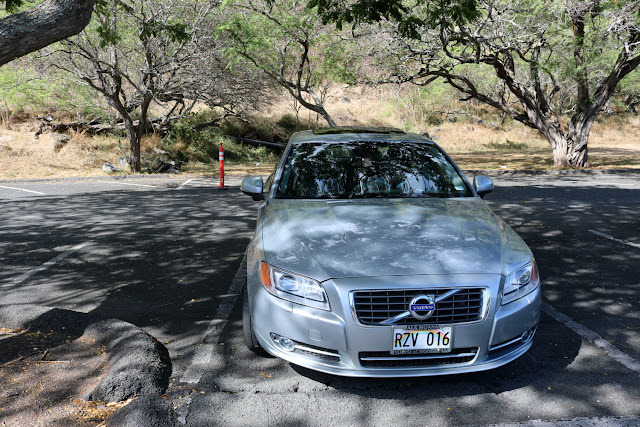 There are dozens of rental car options on the island - but we really think Envy Car Rental Waikiki is the best. Why? They're super affordable and super easy to work with. You don't have to wait at a rental car counter to pick up the car, you simply follow their instructions and pick it up yourself (and drop it off yourself later) and you're ready to go! You can rent anything from a luxury car to a convertible to your standard sedan and we had absolutely no problem during our trip. We needed the luggage room so we rented a Volvo S60 with Navigation System and it was the perfect car for the trip. Easy to park and the navigation system meant we could go anywhere - and find random Target stores or grocery stores in the middle of our day when we didn't know where we were going. when you travel do you usually rent a car - or walk/use public transport/catch taxis etc? And which of our favourite day trips would you want to go on?